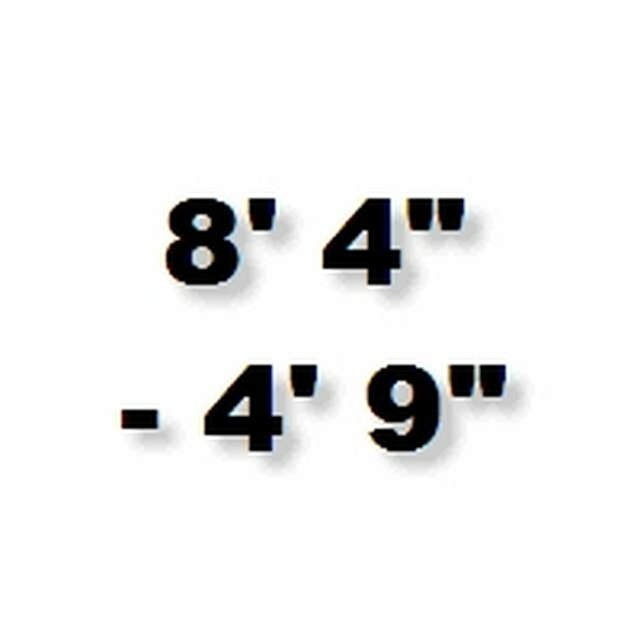 For people in the United States, when you measure anything, you more than likely notate the dimensions in feet and inches. But if somebody else gives you measurements for a craft or building project, you might receive them in decimal feet instead. No matter which system you use to write down your measurements, the value being measured is exactly the same, but you can only work out the dimensions to items -- or perform basic calculations -- if all the measurements are in the same format. Changing the decimal feet to more familiar feet and inches only takes a few quick calculations. For measurements in decimal feet, the digits to the left of the decimal point represents the number of feet you're dealing with – so you don't have to change it at all. Just make a note of it. If you have a measurement of 5.250 decimal feet, you know you're dealing with 5 feet and a leftover amount of inches. Make certain to note the whole number somewhere on a piece or paper or on your screen, as this habit will make it much easier to keep track of fractions of an inch later on. Decimal feet is also denoted by a single hatch mark. For example, 5.250 decimal feet could be written as 5.250'. Consider the digits to the right of the decimal point: these represent inches and fractions of an inch. To convert to inches, multiply the digits on the right side of the decimal point by 12. To continue the example of 5.250, considering only the .250 to the right of the decimal point, that equates to .250 × 12 = 3. The example measurement of 5.250 decimal inches equals 5 feet, 3 inches. Some measurements require exactness to a fraction of an inch. Consider a measurement of 4.292 decimal feet. You already know that the whole number represents 4 feet, but if you multiply .292 by 12 you'll get a result in inches that's not quite an even number: 3.504. Perhaps you can intuitively see that this represents 3 1/2 inches, but it requires further calculation to find that result with less obvious numbers. Refer back to the notation of the whole number that represents the number of feet in the measurement. Next to that, write the whole number to the left of the decimal point after the latest calculation. In this case, that's 3. This represents the number of whole inches you're dealing with. Clearly label it as the inch measurement to avoid confusion. Review what's left to the right of the decimal point: in the ongoing example, that's .504. This represents the fractions of an inch in the calculation. Construction projects typically require measurements down to 1/16th of an inch, which means a denominator of 16 for the fractional inch measurements. But these standards might vary for other projects. Measurements to 1/8th of an inch are also very common. The smaller the denominator (the number at the bottom of the fraction), the more precise the measurements. Multiply the decimal value remaining – in this case .504 – by the chosen denominator. in the event the project requires measurements accurate to 1/16th of an inch, calculate .504 × 16 = 8.064, which then you round down to 8. If you find yourself rounding too far, consider using a larger (that is, more precise) value for the denominator. It's very easy to write the result of this calculation in the wrong place. Pay close attention to the next step. Continue the calculation. Since you have both the numerator (the result in this case, 8) and the denominator (the denominator you chose – in this case, 16) for the fractional inches, the result is 8/16 inches. Always reduce this fraction to its lowest terms when possible. Here, 8/16 reduces to 1/2. Finally, bring in the measurements previously written for feet and inches. To finish this example, 4.292 decimal feet converts to 4 feet, 3 1/2 inches. Maloney, Lisa. "How to Convert Decimals Into Feet, Inches and Fractions of an Inch." Sciencing, https://sciencing.com/decimals-feet-inches-fractions-inch-2133068.html. 29 April 2018.